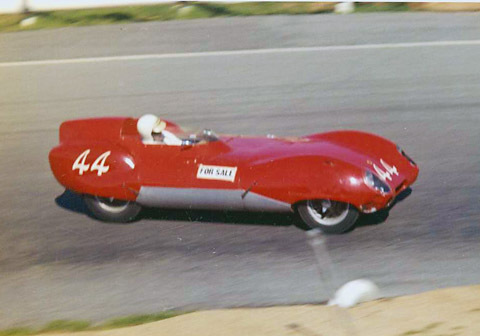 Monise was the fastest of the Lotus Mk.XI drivers in Southern California in 1961. 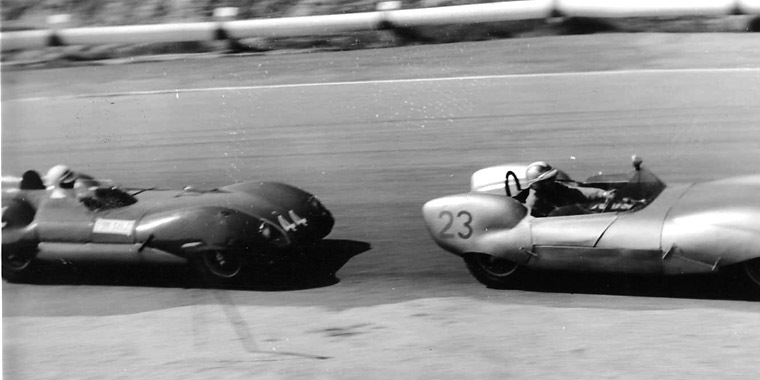 In 1962, this honor passed to John Timanus, while Monise moved on to the car for which he's best remembered, the Lotus Mk.23. Monise winning on a gloomy day at the parking lot course at Del Mar, on Dec. 9-10, 1961. Today, he operates a repair shop in Pasadena, California called Frank Monise Motors. 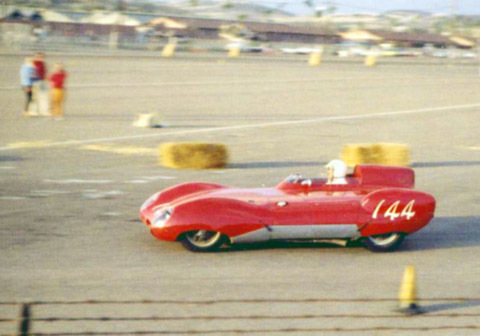 Monise rounds Turn 6 at Riverside on March 3-4, 1962. He and Timanus staged a titanic battle in the small modified car race. Monise won on Saturday by one foot, Timanus won the rematch on Sunday by a similar margin. Timanus leads Monise during their famous duel.